Summer nights are one of Lake Oswego’s gifts to its residents—warm, calm and bug-free—and what better way to celebrate them than watching a movie under the starry skies! 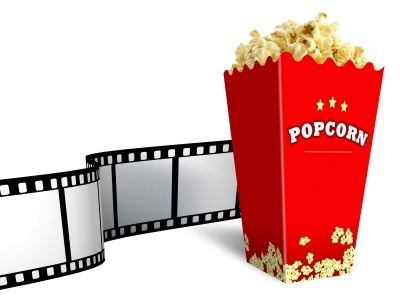 The Lake Oswego Parks and Recreation Department is offering Movies in the Park over the next four Thursdays at Millennium Plaza Park, 200 First Street. Shows start at dusk (between 8:30 to 9:00 p.m.) so grab your blankets, pillows, and low sand chairs, and get comfy before the picture goes up. It wouldn’t be the movies without popcorn—that’s available as well as other treats too so make it a fun family outing (invite the neighbors too). July 25: Wreck It Ralph. Animated film about a video game villain who wants to stop being the bad guy and prove himself a hero. August 1: Zookeeper. Kevin James brings new meaning to “talk to the animals” as his charges team up to help him win the girl while keeping his job. August 8: Hotel Transylvania. Dracula thinks his “teenage” vampire daughter is safe in the monsters-only resort he has created to protect her. But when a 21 year old human boy finds his way in, Dracula finds that the powers of attraction may be greater than his magical powers. August 15: Miracle. Relive the glory of the 1980 American hockey team gold medal championship win against the Soviet Union. Movies in the Park, Lake Grove Swim Park, 4th of July festivities…there are lots of reasons to love Lake Oswego and you’ll find them right here. Click the “Sign me up” button in the top right hand column to subscribe to my blog so you don’t miss a thing. And give me a call if you’d like to see Lake Oswego for yourself through the eyes of a long-time resident and big-time fan. I’d love to help you find your new home in my favorite city.